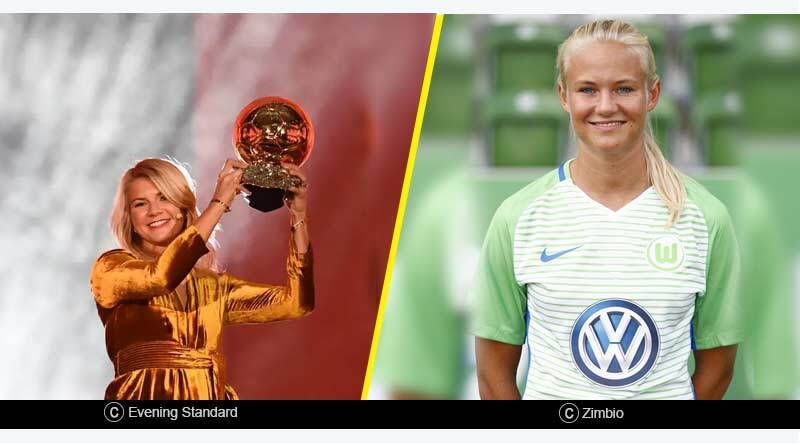 A glimmering and glamorous ceremony in Paris gave us this year’s Ballon D Or Winners with Luka Modric and Ada Hegerberg walking away with the glistening trophy under their arms. PSG and France forward Kylian Mbappé was awarded the inaugural Kopa Trophy, a newly introduced segment by France Football that recognizes the best U21 talent in the world. 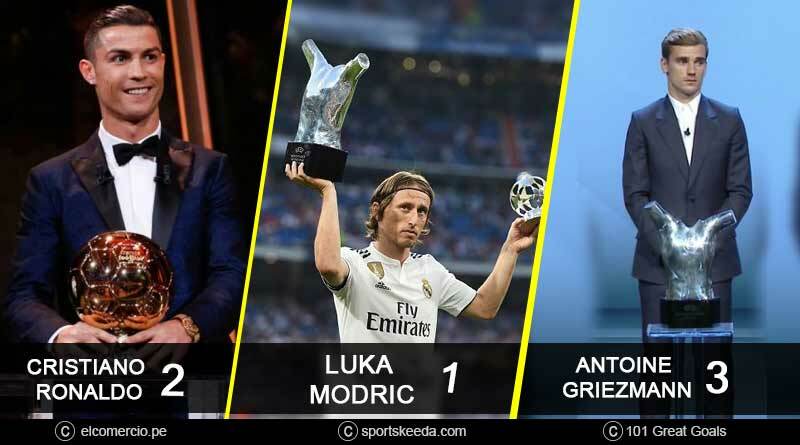 It was a special night for Luka Modric as the Croatian not only became the best person from his country to be awarded one of the most prestigious individual honor in world football but also broke the monopoly Cristiano Ronaldo and Lionel Messi had over the award. Modric’s understated class in the middle of the field had seen him guide his club Real Madrid to a third consecutive champions league trophy but the far greater achievement was his exploits in the world cup held earlier this year which had helped take his country to the finals of the marquee tournament. Awarded for his outstanding achievements and eclectic performances on the pitch, Modric was presented with the men’s Ballon D’Or on the night in elite company that saw some of the biggest football stars event the awards ceremony. With the feat, Modric became the first footballer in ten years to be presented with the award with Ronaldo and Messi being crowned the men’s best player five times each earlier. Speaking upon receiving the award Modric went onto say: “It’s an unbelievable feeling, and a big pleasure to be here among all these players. The victory caps a stellar year for Modric, who also was named the world’s top male player at the Best FIFA Football Awards and received the Golden Ball award for the best player at the World Cup to become the first player in the world to hold all three awards simultaneously. The Ballon d’Or winners list saw Cristiano Ronaldo and Antoine Griezmann come in at second and third respectively. This year marked a breakthrough for the Ballon d’Or awards with a Ballon D’Or winner category being introduced for the best women player of the year. Lyon and Norwegian forward Ada Hegerberg won the award for a stellar year with Lyon which saw her win the Champions League three times with Lyon and scored a tournament-record 15 goals last season. 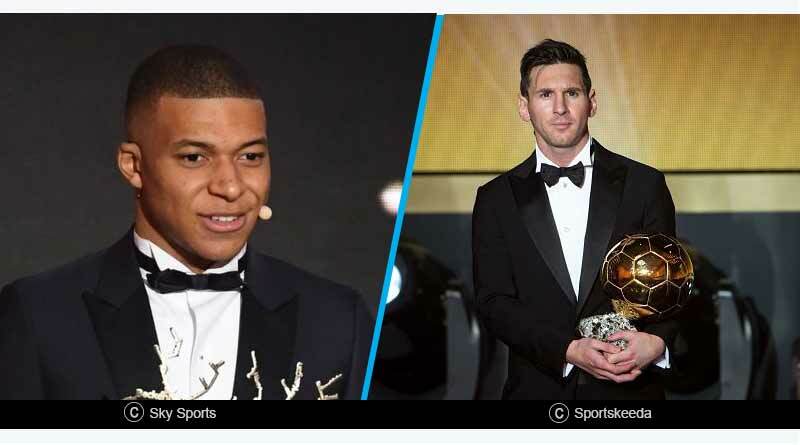 Kylian Mbappé was the last of the main awardees with the young player winning the Kopa Trophy, an award reserved for the first time for the most exciting U21 talent in the world. The award for the best under-21 player in the world was won by France and PSG forward Kylian Mbappé.